On Wednesday 15 February 2017 Collett Transport Services (CTS) is exhibiting at the Redbridge Transport Show 2017, which is taking place at Ilford, East London. This is the 7th successive year for the show, which is run by the London Borough of Redbridge and the Chartered Institute of Logistics and Transport. As well as an excellent line-up of industry speakers at the show there is also a tour of the Council’s ATF workshops. Local authority attendees will be awarded 3 hours of Continuous Professional Development (CPD). 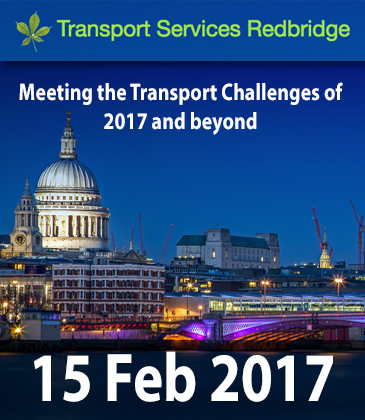 To register for the event visit www.transport-services-redbridge.london. CTS provides flexible and competitive municipal vehicle hire services for the short or long term. The company stocks a wide range of vehicles of all different makes, models, sizes and specifications from 3.5t to 32t Refuse Collection Vehicles (RCV’s), specialist recycling vehicles and self-drive hire sweepers to hook loaders, skip loaders and caged tippers. The fleet is supported by a 24/7 breakdown & recovery service, and a team of mobile engineers, as well as a network of nationwide workshops and service agents. Every CTS vehicle carries a tracker to allow customers to monitor performance and for traceability.